Boasting a sporting pedigree thanks to a unidirectional rotating bezel, this is the first watch in the KonTiki collection to be fitted with a flyback chronograph movement which Eterna has developed and produced in-house. Apparently simple but in reality extremely complex to make, the flyback function – which measures a new elapsed time without having to stop the chronograph first – is proof of Eterna's comprehensive watchmaking expertise. 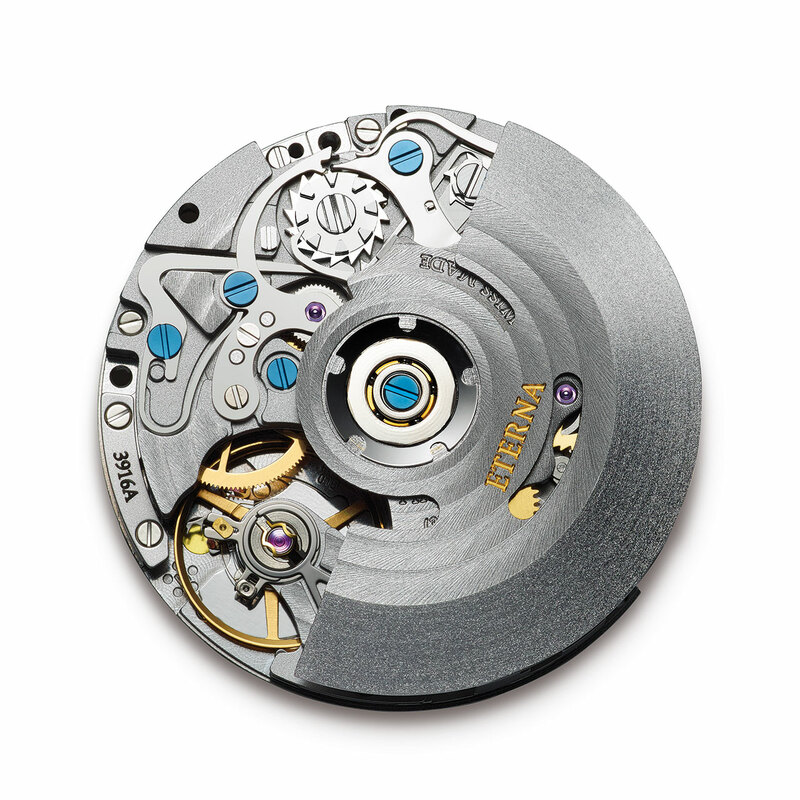 Indeed, this calibre joins an already substantial family of 39 in-house movements. 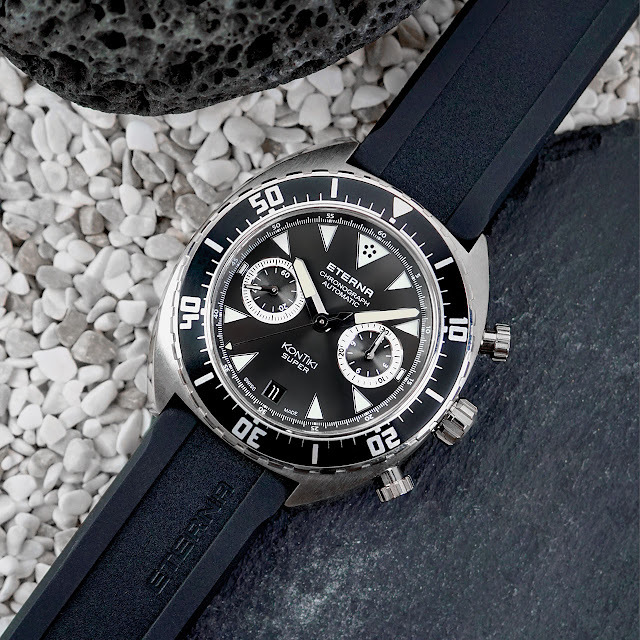 The KonTiki collection is named after the 1947 expedition led by Norwegian ethnographer Thor Heyerdahl. Guided by Eterna watches, he and his crew successfully crossed the Pacific Ocean on a wooden raft. With its impressive steel case and indications that remain perfectly legible in all conditions, the Super KonTiki Chronograph embodies the thrill of adventure and reliability better than ever before. 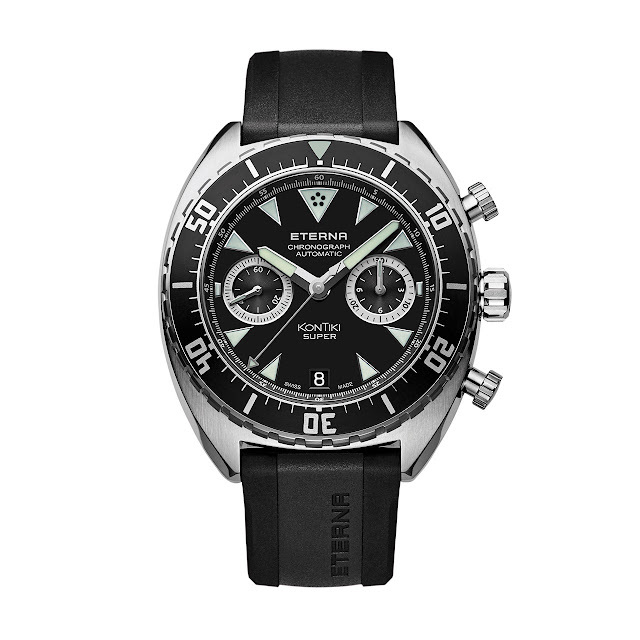 Mechanical automatic, Eterna 3916A calibre, 28,800 vib/h, 60-hour power reserve. Hours, minutes, seconds, date, flyback chronograph. Brushed and polished steel, 45 mm. Unidirectional rotating bezel. Anti-reflective sapphire crystal, front and back. Water-resistant to 200 metres (20 bar/660 ft). Mat black, hour-markers and hands coated with Superluminova. Black rubber or stainless steel Milanese mesh.